Another prominate stop along the Alaska highway Continental Divide Lodge and RV Park has faithfully served travelers of the Alaska Highway for many years. Closed for a couple years, Continental Divide Lodge reopened and has once again become a popular stop along the Alaska Hwy. While we only had time to stop for a brief visit we did notice that there were a number of RV's lined up at their pumps and the restaurant was nearly full. Good to see this lodge thriving as more travelers head over the Alcan each and every year. 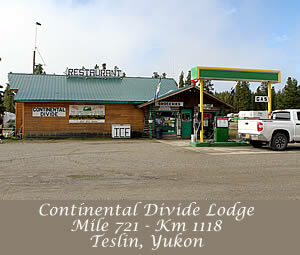 Directions – Continental Divide Lodge is located at historical mile 721 high atop the Rocky Mountains along the world famous Alaska Highway. 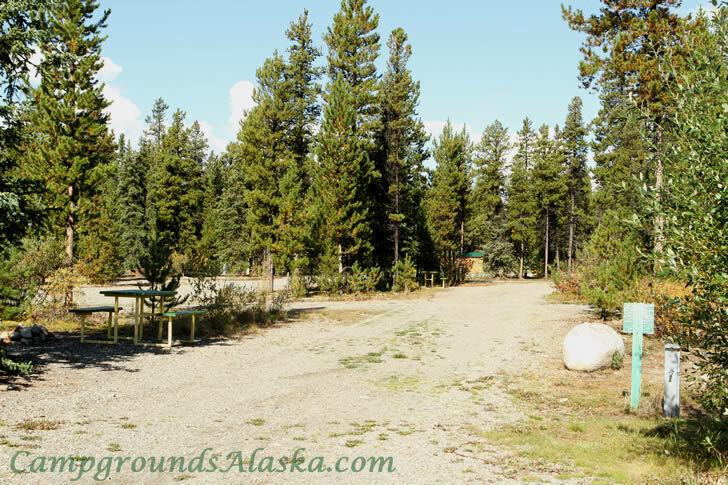 Description – Continental Divide RV Park offers full and partial hook-ups with wide and level campsites too.